Image manipulation and staging is nothing new in photography. And today, with everyone having their own digital cameras and access to software, it’s more prevalent than ever. What’s worse, it’s almost expected. World Press Photo, in my opinion, was justified in revoking the award. Especially in the light of knowing certain photos of Troilo’s essay were manipulated or staged. I personally believe staging a photo is a form of manipulation. 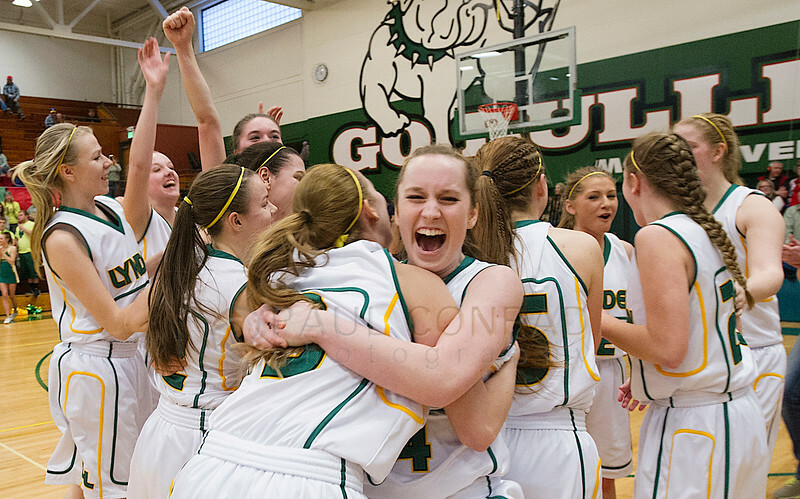 © Paul Conrad/The Bellingham – Lynden’s Morgan Black (4), facing, hugs Jasmine Neria (5) as they celebrate victory over the Black Hills Wolves in the Hardwood Classic regional state playoffs round at Mount Vernon High School on Saturday afternoon Feb. 28, 2015, in Mount Vernon, Wash. Lynden defeated Black Hills 53 to 43 to advance in the playoffs. With the case of Troilo, it’s the staging of photos which caused the revocation. But to be fair, I admire his honesty when talking with World Press. You can’t call it photojournalism if the images presented are manipulated or staged in any fashion, unless it’s a portrait or illustration. You can give me the arguments such as “the presence of the photographer changes the situation,” “The lens choice changes the message,” or “when you press the shutter, you choose the message.” Rightfully so, these are ways in which you can “manipulate” the message. But also ways you can strengthen it. 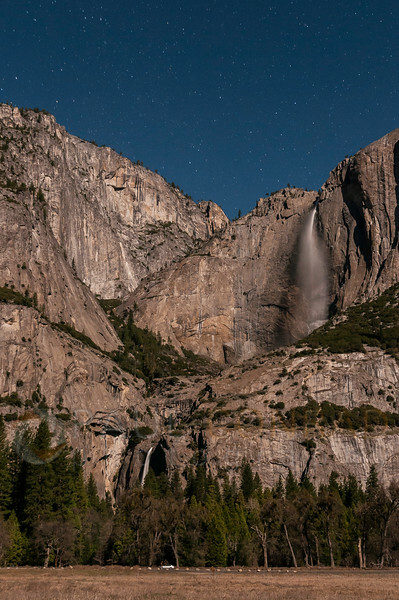 © Paul Conrad/Pablo Conrad Photography – Yosemite Falls under a full Moon Yosemite Valley in Yosemite National Park, Calif., on Thursday Mar. 5, 2015. I agree with situations such as this. In my years shooting news, I’ve come back with nice images only to be dismayed after discovering flaws. But that’s photojournalism. Not every photo will be perfect, not every photo will even tell a story. And I would rather have a bad photo with flaws published on the inside pages, than a great one that’s been manipulated and used as the cover photo. Or even win an award. I wouldn’t feel good about it as I value my credibility and integrity. The root issue here is the credibility of the photographer. Because it is here that public trust begins. The individual ethics of the photographer directly translates into the trust the public gives that publication. The ethics of the photographer creates their integrity and credibility. From this, it builds to trust in the managers of the publications. They trust the photographer is submitting images that meet journalistic standards and ethics. Upon publication, the viewers/readers trust in the integrity of the image. They see what they believe. When it is discovered that a photographer manipulated an image, even by a small amount, that trust may begin to erode. Questions rise in their minds: “If this one has been altered, have there been others? Will there be others? When it has been discovered that a photographer has been submitting altered photographs, the only viable option is to be transparent and inform the readers of the transgression and apologize. Such as when the LA Times discovered that former photographer Brian Walski . He combined two photographs into one. Upon finding out, the editors at the LA Times immediately called Walski in order to have him send the raw file. He admitted to manipulating the photograph. The LA Times ran a front page apology. Being transparent in situations such as this may help quash any public mistrust that could be building. 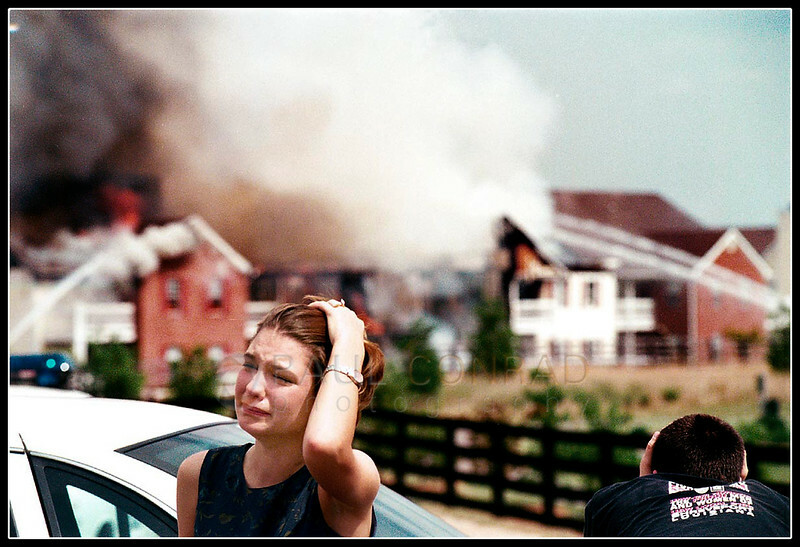 © Paul Conrad/Pablo Conrad Photography – Rachel Smith turns from a fire that is destroying her Wilkinson Trace apartment in Bowling Green, Ky., as her husband Shane watches. The newlyweds said they were horrified at the loss, yet also grateful for their lives. The fire consumed their unit including unopened wedding gifts. In another situation, when photographer Allen Detrich worked on staff at The Toledo Blade, the newspaper launched an investigation and discovered numerous manipulations. Detrich added and removed elements in his photographs. It was discovered he routinely manipulated images. His excuse was he did it for his own personal use and accidentally submitted them to the newspaper for publication. Read more here. When photojournalists manipulate photos (beyond basic tonal and color corrections, including minor burning and dodging), they begin to tell little white lies to the public. At what point is it considered going too far? I simply believe any deletion or addition of elements of the photograph goes too far. 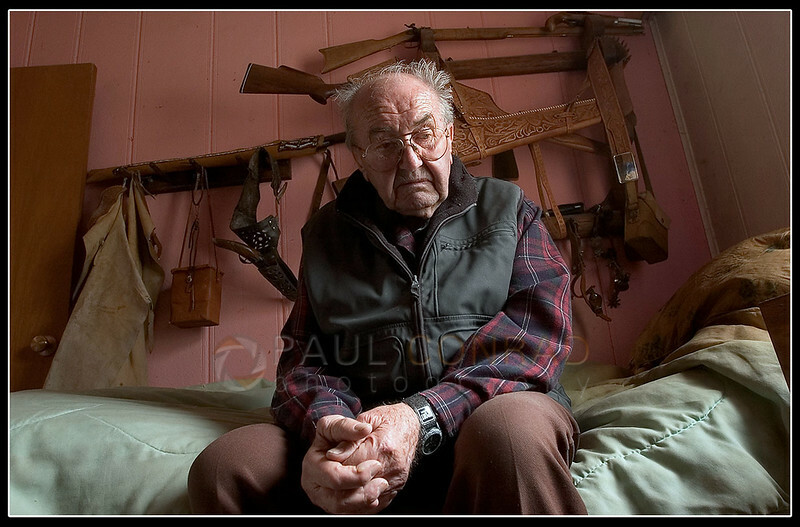 © Paul Conrad/Pablo Conrad Photography – Pondering his next move, Lada Vrany, 87, of Aspen, Colo., sits on his bed as he describes his feelings about Pitkin County evicting him off the property he’s lived on for nearly 50 years. He says he likens himself to the Native Americans in the 1800s. I believe this to be true. With the credibility of the media as low as it is, why take chances and possibly weakening it further by awarding manipulated images? And with taking this a step further, I believe the “photojournalists” who combine separate frames actually fabricate a story. It’s not a matter of simple manipulation. You’re combining two separate moments of time and lying to the public that it is one. The moment in the photograph has become a fabrication. In my opinion, these photographers join the ranks of writers such as Janet Cooke, Stephen Glass, and Jayson Blair. Writers who fabricated stories and plagiarized. Cooke even won a Pulitzer but it was pulled soon after it was discovered the story was a fake. All these situations erode the public trust in the media. Why continue this trend with poor ethical standards. But the question remains: How do contests organizers avoid these circumstances in the first place? How do contest judges award prizes without the fear of having to retract the award? The answer seems reasonably simple: entrants must supply the raw files with their entry. When the images in particular category have been narrowed down, the judges can then use the raw files to verify no manipulations have occurred. Or after narrowing down the field, request the raw files. But the former would be the best option. This may even eliminate the inclusion of manipulated images from the contest altogether. After all, who’s going to enter their work if it will be scrutinized? The simple truth is, manipulation of journalistic photographs undercuts the integrity of the image, and therefore weakens the public trust in the media. That is why the personal ethics of the photojournalist dictate the integrity of the image. 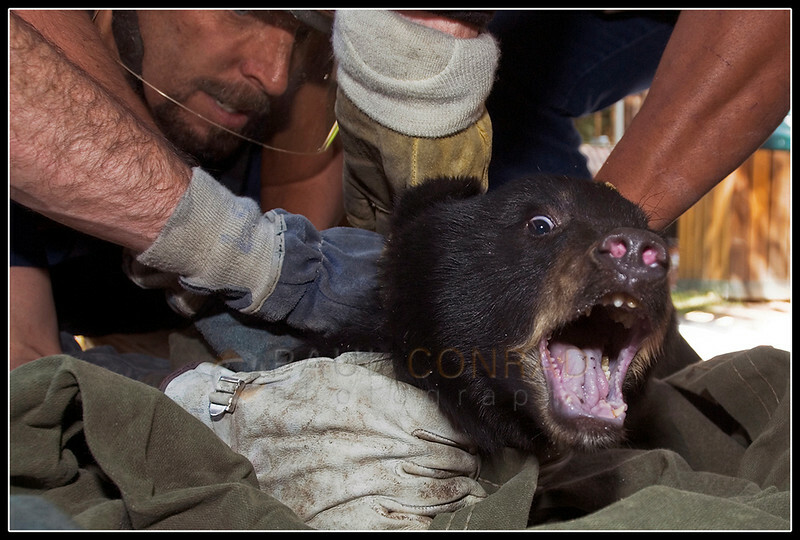 © Paul Conrad/Pablo Conrad Photography – Aspen firefighter Craig Melville, left, and others hold tight as a bear cub screams in disapproval on the Hyman Avenue Mall in Aspen, Colo. A mother and her two cubs were captured by the Colorado Division of Wildlife to be moved to a safer region. “We’ll be letting them go as a family,” said DOW wildlife manager Kevin Wright. The mother and her cubs have been created a stir as they napped in trees and searched for food in the downtown area. Here is an article by Hany Farid, Ph.D., research leader of the Image Science Group at the Dartmouth College Department of Computer Sciences titled Photo Tampering Throughout History. There are some very interesting examples. – The mere presence of the photographer alters the situation. Yes, I’ve seen the difference how people react when the cameras are present. But I’ve also seen many more not affected by the presence of the camera. Lens choice affects the meaning of the image. A telephoto compresses traffic to make it look worse than it may be. – Wide angle lenses distort perspective. They can accentuate the vastness of open space. – What moment is captured. Simple editing can misconstrue the meaning of an event. – Moving in order to remove or add elements to the photo. – Using various apertures to remove or add the background. As these issues directly affect the image before exposure.